Lately there has been a lot of news about how the ACLU is pushing for a civil rights inquiry into the systemic discrimination against women in film and television. This investigation would look at the disparities in the number of women in position of authority in the industry as well as pay disparities. This is a completely valid complaint and I hope it goes forward and ultimately creates meaningful change in the industry. Reading about the initiative got me thinking about how rare it is to see disabled people in any capacity in film and television and how little call there is to rectify this from within the industry. That is not to say that film and television completely ignore disability. They don’t, they just don’t necessarily use disabled people as actors or writers (or directors or producers etc.). There are some notable exceptions like Peter Dinklage as Tyrion Lanister in Game of Thrones or RJ Mitte as Walter White Jr. on Breaking Bad or Sarah Gordy in Upstairs Downstairs. One of the things that make them so notable is that they stand out from the general portrayal of disability in film and television. Disability rights activists have coined terms like cripping up, crip face**, disability drag and cripicature to describe the trend of nondisabled actors taking on disabled roles. There are many examples of disabled people protesting the practice and demanding better representation for disabled people on screen. In my opinion there is no actual disability representation in a film or television show unless there is an actual disabled person involved. Simply putting in a disabled character and than casting a nondisabled actor is not representation. It is in fact the active denial of representation. I am not going to get fully into why the prevalence of cripping up is bad right now. Others have done that (click the links above for just a small sample of others making the case). I am going to look at how the phenomenon of cripping up continues to flourish despite a more discriminating viewership that demands authenticity from its media. The fact that nondisabled people have absolutely no idea what authentic disability looks like is certainly a major factor. It is difficult to get an accurate picture of disability when your reference point is always a nondisabled person’s interpretation of disability. That being said people are somewhat more aware that the physicality of physical disability can not be shown with the adoption of a limp or by sitting in a wheelchair. In the same way that actors playing pianists must now have some skill at the piano because closeups of hands on a keyboard no longer suffice to convince the viewer that those hands are attached to the actor, simply sitting in a chair on in a bed no longer convince people that, the character can’t walk. 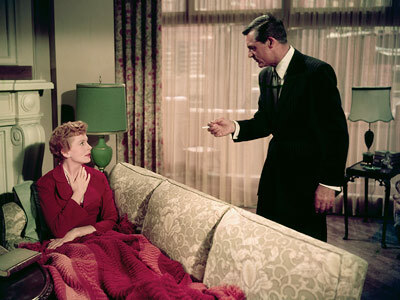 Deborah Kerr sitting on a couch with her legs covered by a blanket, no longer cut it for authenticity. In order to get that atrophied look, Worthington didn’t sit immobile for months. Accurate physical depictions of disability are not a new extreme of method acting. They are achieved through CGI. They are created on a computer and superimposed over the actor in post-production. This achieves more physical realism without ever having to use a disabled actor. The use of CGI for depictions of disability is becoming more common and it is increasing how disability can be used in film not only to amp up visual realism. It also helps make disability a plot gimmick. I will go through some of the films and television shows that have been utilizing CGI and how that has affected the story and characterization of disability. In this film co-written by Quentin Tarantino (so expectations of realism for anything go out the window), the character Cherry Darling loses her leg in a zombie attack. Within hours of amputation she is using makeshift prosthesis to get around, starting with a table leg and ending up with a machine gun for a leg. The actress Rose McGowan is of course not an amputee and all of this right down to the amputation is done with CGI. I’ve already discussed Avatar a little, there are a couple issues that should be expanded on beyond the use of CGI to make the character Jake Sully look paralyzed. First of all the characterization of disability is abysmal. It plays on the idea that all disabled people are just looking to be cured. That is not the case for many of us. So it positions the role of disability as tragedy that can only be overcome by cure. While cure may be the goal of some disabled people, that narrative should come from them. Coming from nondisabled actors and writers just makes it into a fantasy for those without disabilities where they foist their fear about our lives into the public discourse. Secondly the film Avatar was groundbreaking in its use of CGI and changed the way films are made. This is primarily focused on the post cure alien portion of the film but when you look at the praise of the imagery in the context of how it was used on the human Sully, it tacitly gives approval for that kind of CGI as well. Horrible characterization of disability aside, there was really no real need to cast an able-bodied actor in the role of Sully. 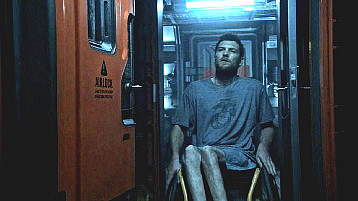 A wheelchair user could have been hired for the human portions of the film and voice acted the alien portions while an able-bodied person was used for the motion capture for the animation. Somehow I doubt this was even considered. I have written about disability and Outlander before and you can read my full analysis here. In Brief, there is a character named Colum MacKenzie eho has bowed legs. The actor Gary Lewis does not. His legs are bowed in post production with CGI. There is no real reason the character could not have been played by a disabled actor. Based on the novel of the same name, TFIOS has numerous characters dealing with life with cancer. The main male character, Augustus Waters had his leg amputated as a result. The actor Ansel Elgort who plays him in the film is not an amputee and instead is given a CGI prosthetic. John Green the author of TFIOS is oddly enough a big supporter of the “We Need Diverse Books” campaign, which seeks to get more diversity in YA and children’s literature. The whole idea is that children (though I would argue everyone) benefit from seeing people like themselves reflected in literature and media. Apparently diversity only needs to go so far as diverse fictional characters but not actually diverse people to represent those characters. I would think that a logical extension of advocating for diversity in literature, would be to also allow people to see others like them in visual media. Without this it is just reinforcing the idea the disability in the media is not for disavled people at all, it is for the nondisabled. This spy film features a double amputee villain, Gazelle whose running blade prostheses come equipped with actual retractable knife blades that she uses as weapons. Gazelle is a gimmick disabled character. As much as a badass disabled character is refreshing, the depiction is entirely unrealistic. Blade prostheses are designed for running and are not meant to be worn during everyday activities. They would negatively affect posture and balance if worn for just standing and walking around and yet Gazelle is never seen without them and has impeccable balance and posture no matter what she is doing. In the latest installment of the Mad Max franchise, Max takes a backseat to Imperator Furiosa played by Charlize Theron. 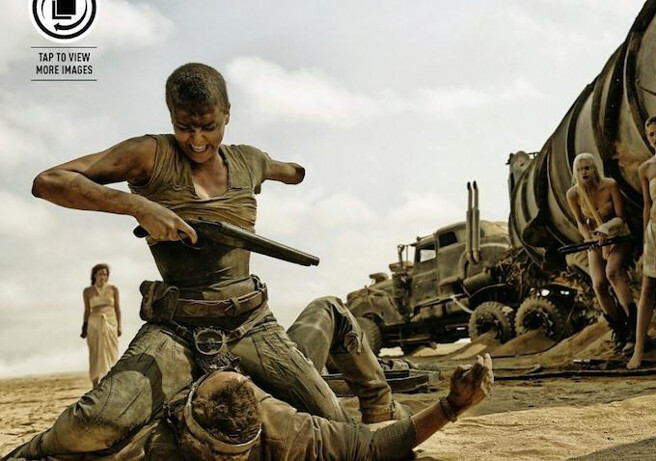 Furiosa has an amputated arm. Watch Furiosa load a shotgun. Watch Furiosa punch Max in the face, with her nubbins. Watch Furiosa drive a semi tractor trailer. Watch Furiosa fire a long shot, using Max’s shoulder to stabilize the gun barrel, as an alternative to using two hands! Watch Furiosa do anything you can do, but better, and with half the number of fingers. The existence of her missing hand is never mentioned in dialogue. Not once. I find this simple fact so powerful. It is not made into something ludicrous for the lulz a la the gun leg in Grindhouse. Her prosthetic is realistic – it looks like something a real amputee would actually wear and use. There’s no reference made to any tragic backstory regarding her limb. We have no idea how she lost it, or if she lost it. It may very well be a birth defect. More on that later, cause that’s totally my interpretation. Where Vaughn and I differ in opinion is that she calls this representation and I would simply classify it as a very good portrayal. As I mentioned above, In my opinion, representation requires the actual presence of disabled people. Everything else no matter how good is portrayal only and disabled people deserve representation. That being said it is good that a post apocalyptic film recognized that disability would be a common occurrance in such a world. Furiosa isn’t the only disabled character and it isn’t an issue for anyone except the poor who depend on the sporadic benevolence of Immortal Joe (the dictator) for survival. Even then they are in the same position as all the other poor people. By consistently casting nondisabled people in disabled roles, the entertainment industry is saying “People like you don’t belong here.” It also keeps the disabled experience as something that can only be defined and told by nondisabled people. By creating technology that makes it easier for the industry to shut out disabled people, they maintain this status quo while giving a population ignorant of disability te impression that portrayals and representation are getting better. The number 1 search type that brings people to my blog are queries about whether Gary Lewis (the actor who plays Colum MacKenzie in Outlander) is really disabled. It also keeps the industry from having to find ways to accommodate disabled actors. In every other industry, there is an expectation that employers have a duty to accommodate disabled employees and that disabled people cannot be passed over for employment because an employer doesn’t want to implement accommodations. Accommodations can only be denied if they cause undue hardship to the employer. Many films that include disability have huge budgets that could easily cover accommodation, particularly if they’re saving having to pay the multimillion dollar salaries of celebrities who are currently taking those roles. While some of the roles I have discussed could arguably not have been played by disabled people, like Gazelle because she performs feats that are simply beyond the realm of reality. It is important to remember that reducing disability to a gimmick is problematic in and of itself. It goes back to how nondisabled people have taken over the narrative of disability with no regard to how it impacts the community in real life. Roles like Gazelle could be taken as harmless fantasy but in order for that to happen, there must first be a true understanding of disability by wider society. The dearth of disabled actors in film and television in favour of spending money to make nondisabled actors look disabled is clear evidence of systemic discrimination from within the industry. ** crip face is a contentious term as it is viewed as appropriation of the term black face, I include it here because it is still widely used. Outlander is returning to the Starz Network today. It is a popular series based on the novels of Diana Gabaldon. I admit I like the show. I read the books first so of course I cringe where the show deviates from the original. So she not totally perfect but she is very slim, which is the standard for women on TV and in movies. In the books however, Claire is repeatedly and consistently described as curvacious. Something Balfe is decidedly not. It might have been nice for them to have diversified the bodies of their female cast but they only non thin women are either extras or characters over forty-five. So I guess it’s only a partial win for women. The show does however completely throw disabled people under the bus. The story contains the character of Colum MacKenzie who is both disabled and the Laird. The character is in many ways a major step forward for disabled characters in television. Colum is not a stereotype. His character is complex, his role in the story is not completely defined by his disability, though it is informed by it. He does not fall neatly into the almost universal boxes of being a saint, villain, victim or inspiration. He has both good and bad qualities and none of his character flaws or virtues are a result of his disability. And yet despite all of that, I cringe every time he is on screen. It is extremely disappointing that the producers of this show opted to cast an able-bodied actor. Particularly because none of the usual excuses for passing over a disabled actor apply. The character is never shown as able-bodied. There is no transition to excuse the use of cripface. The actor Gary Lewis is not the major draw to the series and is in fact almost unrecognizable due to the hairstyles and clothing. So his star power is not required for the show to be a success. His disability is entirely created through the use of CGI and can therefor the portrayal is not the result of acting skill. 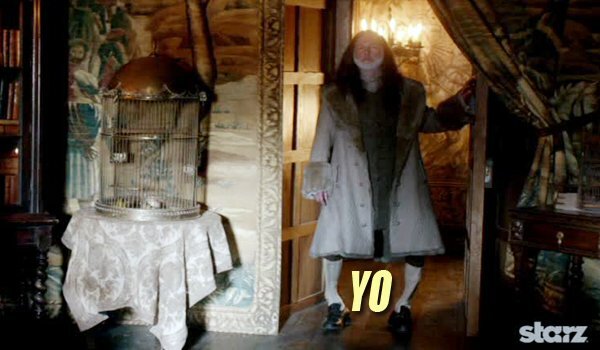 In fact as you see in the image above, which I obtained from an episode review, the author added the word Yo in between the bowed legs to draw added attention to them. The author had this to say about the physical presentation of Colum’s disability. The author is presumably able-bodied as she hasn’t indicated why she would have any expertise to judge the reality of the portrayal. So by have an able-bodied actor in computer generated cripface, the show destroys its own ability to claim a realistic portrayal of disability by giving viewers the ammunition to question it. If a disabled actor had been used, this argument would not exist. You can’t argue with the reality of a person’s actual body. rather than a picture superimposed in post production. This is a prime example of why there needs to be actually disabled actors cast as disabled characters. Realisn cannot be achieved through imitation or computer generation. It also shows that regardless of how accurate those CGI legs were (and I’m not competent judge), they allow nondisabled people to dismiss the possibility that for someone, that this might be their real body and real lived experience.